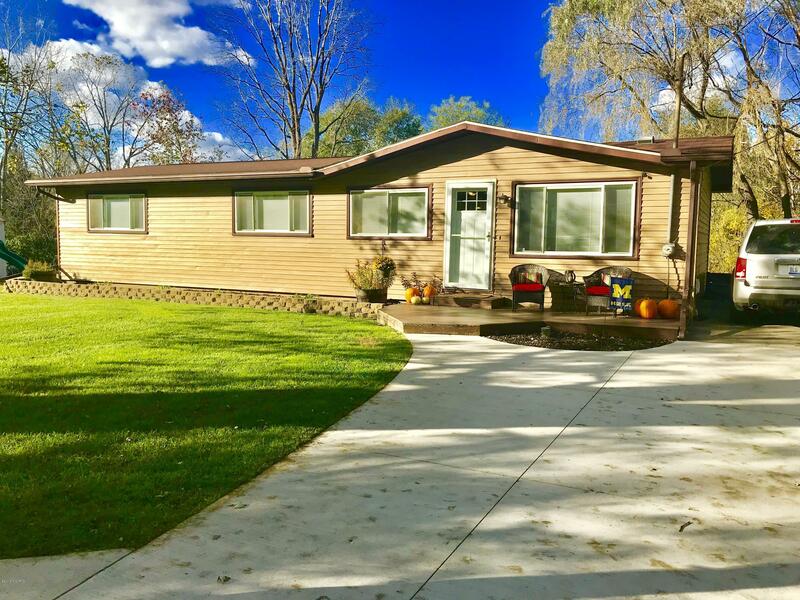 * MOTIVATED SELLER* Whether you are looking for your lake getaway or full time home, this 3 bedroom ranch says ''Welcome Home'' as soon as you step inside. The open concept of this home connects you to the living, kitchen, and dining areas with a view of the water. Newer windows, furnace, water heater, and driveway will put your mind at ease. Add that to the newer flooring throughout, new drywall upstairs & in the basement, new solid pine doors and trim work, and it makes this home move-in ready! After a day on the boat, end your evenings with a good book on the tiered deck overlooking the channel. This home offers so much more, don't miss out!